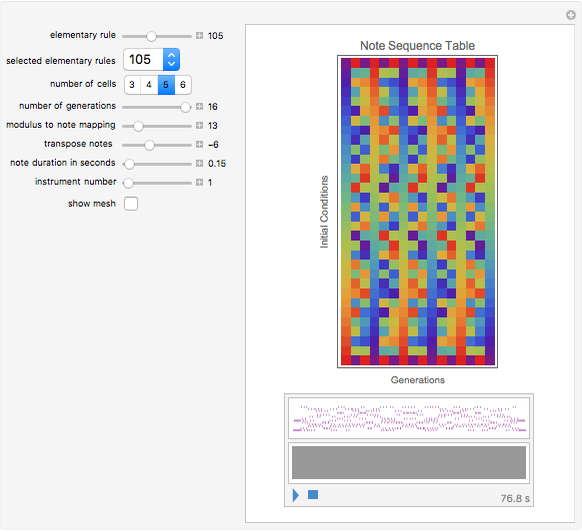 This Demonstration uses a simple and novel mapping of elementary cellular automata (CA) to single-voice musical sequences. 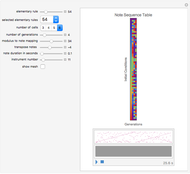 The mapping is created by evolving a small CA through all its possible initial conditions for a number of generations, converting the cells to decimals and storing them in a table. 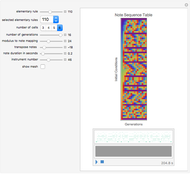 This table is visualized using Mathematica's built-in function ArrayPlot with starting conditions assigned vertically and generations evolving horizontally. These example sound pieces were tested on a Mac using the internal default sound sample set; the sounds available will depend on your platform. 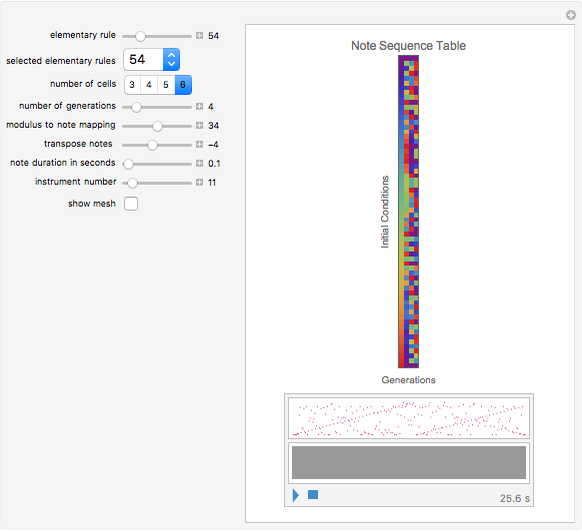 The change in ArrayPlot size depend on the number of cells and generations specified. 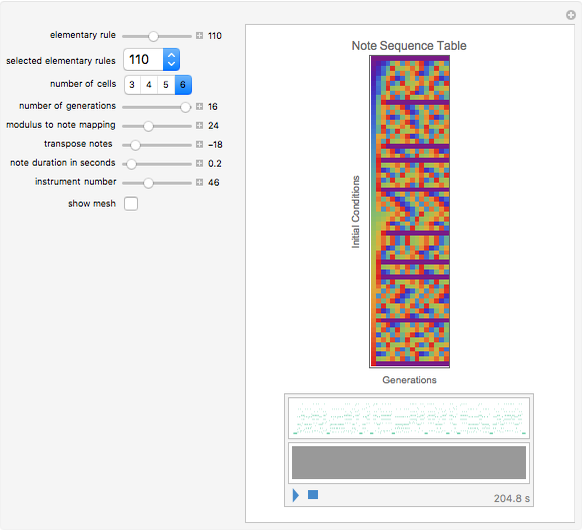 See http://www.noyzelab.com for more details and research papers on the author's work with generative music and cellular automata. 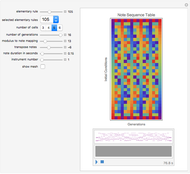 David Burraston "Music Box Toy with Elementary Cellular Automata"